If you do not know what a chatbot is, then you have managed to unknowingly evade the hottest tech topic of 2017. For clarity, a chatbot is a computer programme designed to mimic the conversations and interactions we have come to expect from other humans. They’ve been floating around the web for years, and especially in gaming, they have a very rich history. The first time I ever came across the word ‘bot’ was at the age of 6 on the player menu screen of Unreal, where you had the option of taking a break from story mode to join in a bot match. While it didn’t mean much to me then, it certainly does now. In the mainstream bot world, chatbots are being turned into customer service providers, into tools for knowledge sharing and self-help, and have practically any sort of use that you can think of. In the last year or two, companies have brought the technology to us. My first interaction with a bot builder platform was Snatchbot, and I found it so easy to create my own. There are so many choices, and you can even plug your creations into Messenger. Platforms that allow you to build your own chatbots are giving you the paintbrush and the canvas, and asking you to be the artist. One possible problem is the fact that you can create almost anything, and how do you choose one out of infinity? I’ve made a list of four creative, innovative and interesting existing uses of chatbots. This is followed by three ideas for chatbots that would be incredible if they were made a reality. If you choose to bring one of these ideas to life, please let me know so that I can include them in my top ten. It's true that children have the ability to absorb information at a phenomenal rate. If you give a PS Vita to a nine-year-old, it’s likely that they will be able to explain how to use it to an adult faster than the adult will pick it up themselves. As a tool for children’s education, chatbots have the potential to excel. Technology doesn’t have to drive a wedge between parents and children. If your child is using Facebook or Instagram, Oyoty is a bot that will act as a guide for internet safety, and it’s a useful tool for parents who don’t want to be invading their children’s space but want reassurance that they can be safely left to their own devices. 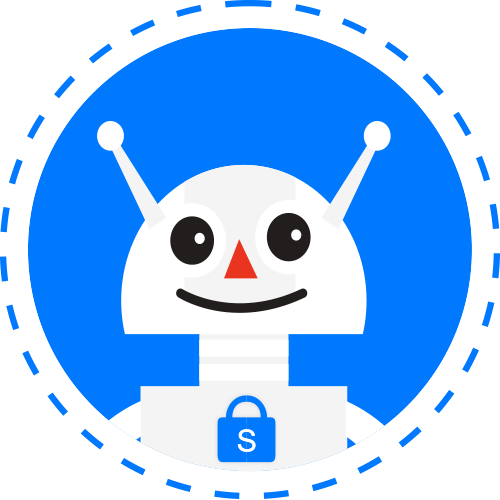 Bot building platforms, like Snatchbot, are giving you creative control.